Motorola Moto Z2 Play Price, Review, Deals, Cost, & Sales! 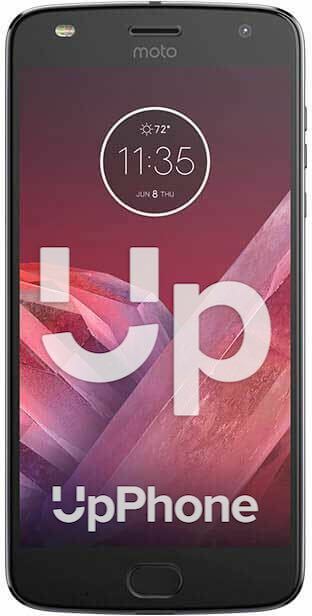 Home / Compare Cell Phones / Motorola Moto Z2 Play Price, Review, Deals, Cost, & Sales! The Moto Z2 Play is yet another modular phone from Motorola that enables the user to expand the capabilities of their phones with a number of moto mod accessories. It has a 5.5" 16 M Super AMOLED screen with 1080 x 1920 resolution and a pixel density of 401. While the Moto Z2 Force has 5.5" 16 M P-OLED display with a resolution of 1440 x 2560 and a density of 534. This device is equipped with a 12 MP f/1.7 aperture main camera able to record up to 4K videos @ 30 fps. It also has a 5 MP f/2.2 front camera capable of recording HD videos. For the storage, the Moto Z2 Play comes with 32/64 GB internal drive and supports up to 256 GB expansion via microSD. In comparison, the Moto Z2 Force has the larger 64/128 GB with support for up to 512 expansion via microSD. The Moto Z2 Play comes with a single mono front-firing speaker located beside the earpiece. Performance is mediocre and not as loud as you want them to be. This device is equipped with a front-mounted fingerprint reader that doubles as a home button. It is fast and very reliable. The Moto Z2 runs on Qualcomm MSM8953-Pro Snapdragon 626 with eight cores. Not the fastest out there as it has occasional drop frames especially when playing games but overall performance is smooth. While the Moto Z2 Force has the Qualcomm MSM8998 Snapdragon 835 with eight cores also. This phone is powered by a 3000 mAh battery. The amount of power for a device with a 5.5" display is not that big but it does a really good job of managing its juice well. It can easily keep conversations going for up to 24 hours, 10 hours of web surfing and video playback for 16 hours. If you get this phone on Verizon, you'll get a moto mod JBL speaker for free. The moto mods, that the Moto Z2 Play supports, are modular accessories that can be attached to the phone via a magnet. The Moto Z2 Play has an all-metal back with a couple of unobtrusive pins for the moto mods connection. It features a one-button nav where you can navigate your way through the phone using the fingerprint sensor. This phone used to be exclusive to Verizon only when it was launched.